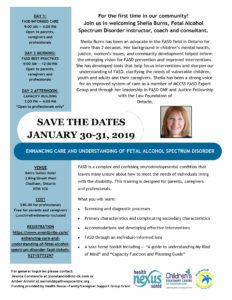 Enhancing Care and Understanding of Fetal Alcohol Spectrum Disorder (FASD). 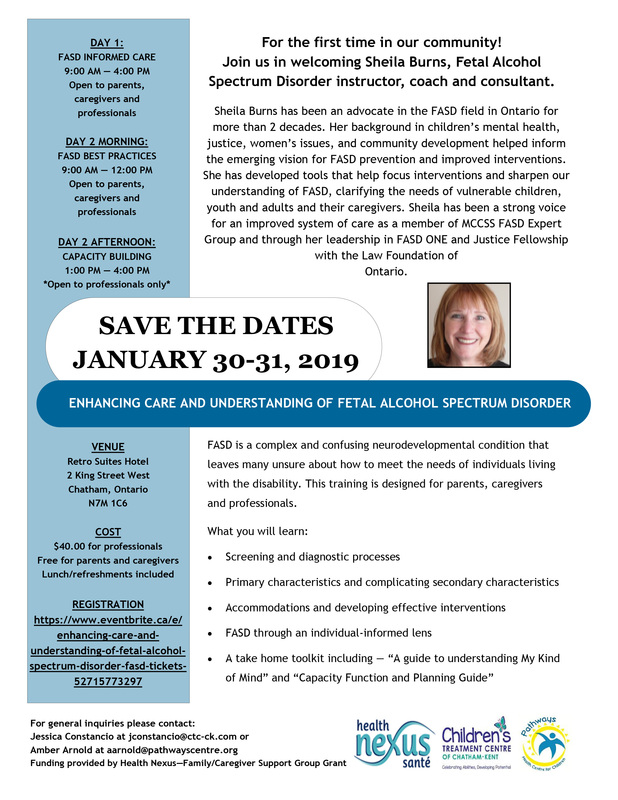 Pathways Health Centre for Children and the Children’s Treatment Centre of Chatham-Kent are excited to announce that we will be hosting a training with Sheila Burns, FASD Instructor, Coach and Consultant for the first time in our community on January 30th and January 31st, 2019! FASD is a complex and confusing neurodevelopmental condition that leaves many unsure about how to meet the needs of individuals living with the disability. This training is designed for parents, caregivers and professionals. Please see the attached flyer for further training details. Note: The afternoon of Day 2 is devoted to professionals for capacity building in our community. Registration will take place on Eventbrite by clicking the following link. We look forward to seeing you in the New Year! If you have any questions, please contact the CTC at 519-354-0520. Funding for this event is provided by Health Nexus – Family/Caregiver Support Group Funding. 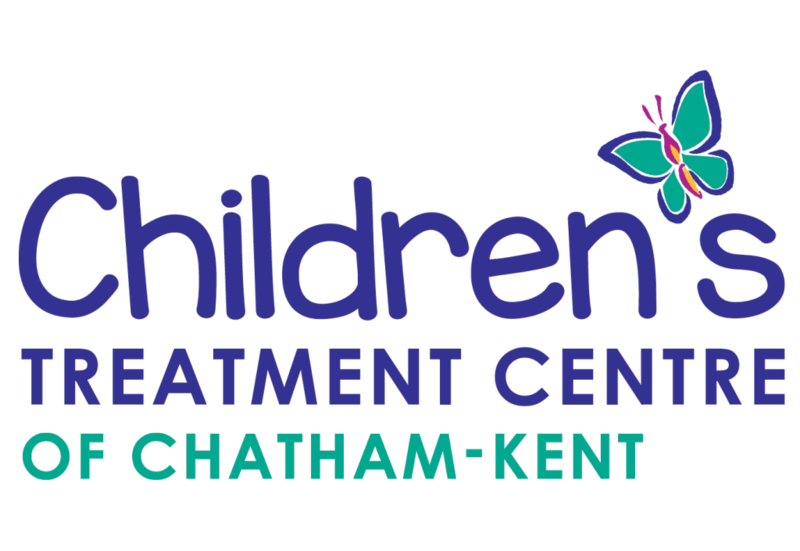 Previous post OACRS has a new name – Empowered Kids Ontario Next post Save the Date – Festival of Giving – April 13, 2019!